Target specialises in end of line inspection units. 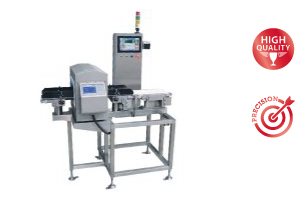 Our Eurocheck and Euromet metal detectors can be integrated into your existing production line along with our wide variety of packaging equipment. Our quality units ensure compliance for weight and metal detection while easy to program and operate. Made from stainless steel and anodised aluminium construction ensuring customer satisfaction.